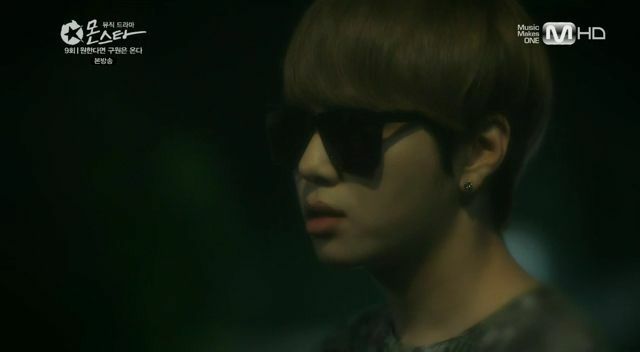 Another Friday, another lovely and moody episode of Monstar. I’m going to miss this sweet and full of heart drama when it ends in three weeks, but am ever so grateful that a niche music cable network decided to try something different for a change. This drama was made to showcase music (and sell it), but it doesn’t sacrifice writing or directing for the sake of PPL. I’ve fallen in love with all the songs integrated organically into the storyline, and have newly discovered appreciation for a diverse group of young talents that will all surely go places. This was the slowest episode of Monstar to-date, and my beloved Seol Chan was strangely absent for long stretches of action. 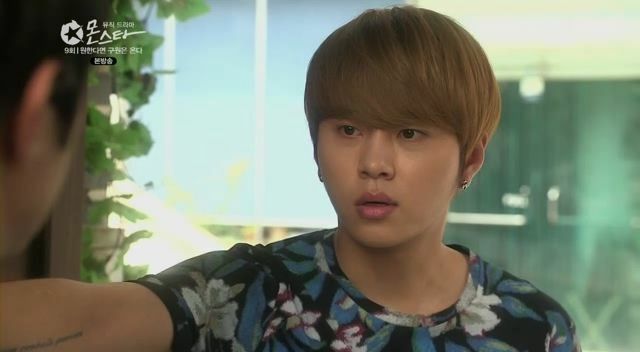 It’s probably due to Yong Jun Hyung’s schedule with BEAST, but it worked to keep the OTP apart as they try to gauge how they feel about each other. I think Seol Chan has been too busy stewing over Sun Woo’s confession to Se Yi that he’s not spent the time on his own feelings for her. Forget Sun Woo, why doesn’t he tell her? Because he’s afraid of rejection? Because of his promise to Eun Ha? To protect her? I think its because he’s scared, but now he’s at the cusp of missing his one chance with her and a little separation was always good as a subtle nudge in the right direction. With the giant cliffhanger at the end of episode 8, this episode ends with a different but still gaspworthy scene that the network must’ve worked hard to keep under wraps. I appreciate it, totally caught me off guard in the best of ways. 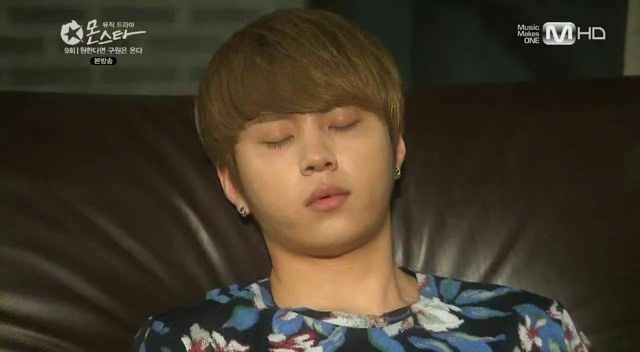 Kyu Dong’s suicide attempt was of course thwarted but that doesn’t resolve any problems. 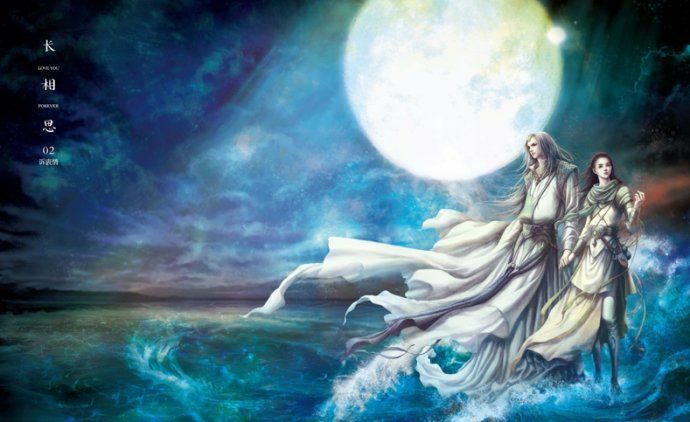 To the forefront Eun Ha’s own loneliness bubbles forth, though its still not clear exactly what her issues are. Feeling invisible is my guess, a kid lacking a tangible talent therefore adrift in the sea of seeing purpose from others. I’m glad her story is getting more airtime because Na Na’s issues are pretty much discussed and just needs time for her to feel like she fits into school. 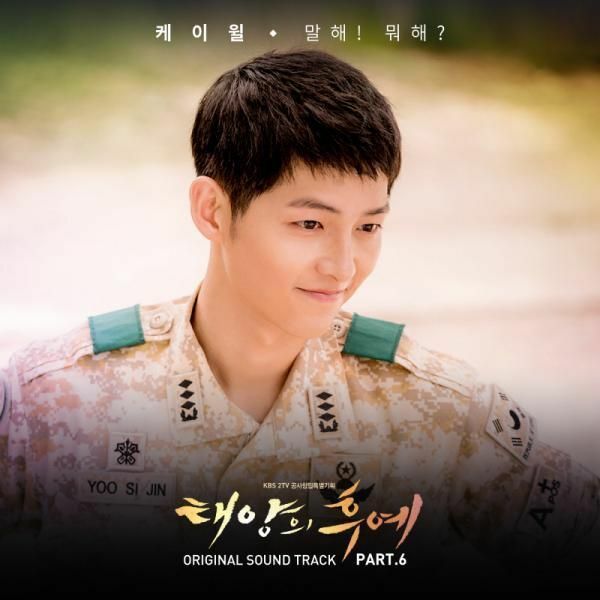 Kyu Dong and Do Nam will resolve itself as long as Se Yi continues to push both of them to confront their shared past pain. And Sun Woo and Na Na may or may not become a couple but I have confidence the drama will evolve their relationship with the same usual delicate touches. Episode 9 looks much more action-packed and intense, so I take this breather of an episode as the calm before the final big storm. Se Yi and Seol Chan rush up the stairs to the roof, with Se Yi biting back sobs but still totally overcome with emotion. Kyu Dong is getting ready to jump but as he takes a step off the ledge he’s suddenly jerked backward and off the ledge by an arm. Seol Chan arrives on the roof first and he stands there gaping as Se Yi arrives. Both of them stare and the camera pans to Kyu Dong laying on top of Na Na. Seol Chan points and asks incredulously if Na Na and Kyu Dong have “that kind” of relationship. Kyu Dong scrambles off Na Na, who shoots Seol Chan her patented death glare and Seol Chan shuts up. Kyu Dong runs off and Na Na stops Se Yi from going after him, pointing out that he is embarrassed (with the suicide attempt) and needs to be alone. Everyone, minus Kyu Dong, is in class and all eyes are on his empty chair. Afterwards Se Yi learns from Eun Ha about the vicious bullying that took place earlier which led to Kyu Dong running off to the roof. Se Yi asks why Eun Ha didn’t stop it and Eun Ha looks down at the bruise on her leg and says there was something she was dealing with herself. Eun Ha is about to discuss it with Se Yi when the latter suddenly takes off when she spots Do Nam. Se Yi stops Do Nam on the stairs and yells at him for what happened to Kyu Dong. She tosses Kyu Dong’s backpack at him and chides him for not explaining things and allowing the other kids to bully Kyu Dong. Se Yi reveals that Kyu Dong was going to jump off the roof but Na Na saved him, and if he succeeded then Do Nam’s hand was the one who pushed him. 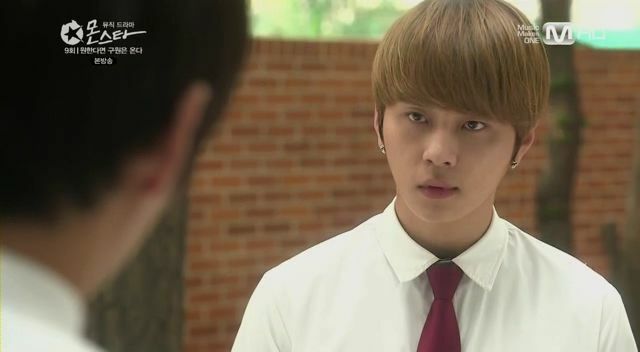 Seol Chan passes Sun Woo and unleashes his frustration about Sun Woo confessing to Se Yi in front of him. He thinks it’s a cowardly sneak attack but Sun Woo wonders if it would be better if he did it without Sol Chan around. 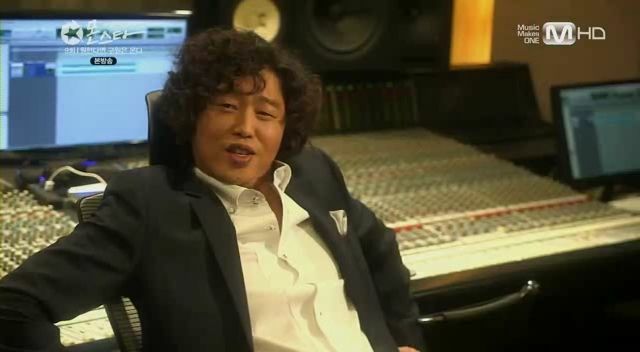 Sun Woo thinks all of this is moot – Seol Chan has no answer to his central problem, i.e. he cannot date as a Star. Seol Chan asks if Se Yi believes this as well and Sun Woo is sure she will come to the same acceptance. Seol Chan storms off and Sun Woo spots Se Yi. He asks her to not answer his feelings yet, he wanted to tell her but its been six years that he’s been nursing his crush so he wants her to take some time to figure out her feelings. 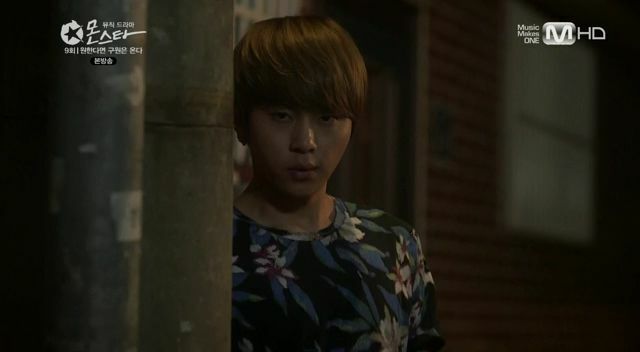 Seol Chan chances upon them talking and lurks behind a bush to observe. He looks annoyed and turns to leave when he’s startled to see Hyo Rin standing behind him. She smiles and call him oppa, then peers over his shoulder to see that it was Se Yi and Sun Woo talking in the distance. She gives him a wink and leaves. Seol Chan looks totally aghast. Seol Chan goes to a school bench and lays down in the sun. He covers his eyes and seems really emotionally exhausted. Ji Woong is sitting in his room and remembering his run in with Se Yi’s mom the night before. This leads to a flashback to his high school days when he was friends with Se Yi’s parents. The three of them sit in a classroom and sing. 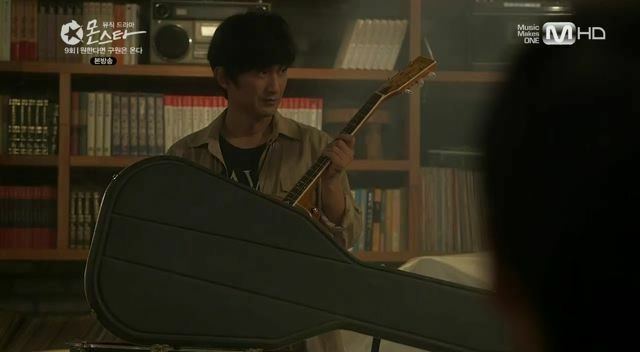 Ji Woong is looking at his old guitar when there is a knock at the door. He opens it to find Kyu Dong who asks to come in because he has nowhere else to go. They head to the basement and Kyu Dong notices the piano moved inside and the haircut. Ji Woong asks about the duel and Kyu Dong reveals their team lost but he felt like they won. It was all thanks to Seol Chan. Ji Woong points out Kyu Dong is ditching school which is unlike him, and Kyu Dong reveals he almost tried to kill himself earlier. Do Nam is holding Kyu Dong’s backpack and walking down the street thinking about the suicide attempt. He seems to be softening until he remembers Kyu Dong kneeling to beg forgiveness which makes him upset again and he tosses Kyu Dong’s backpack in the bush. Kyu Dong reveals he got up the courage to die but Na Na saved him. He doesn’t think he has the courage to do it again, but living now is even harder because he’s too embarrassed to go back to school. Ji Woong says everyone thinks about dying at one time or another. He did as well, but unlike Kyu Dong he didn’t have any friends beside him. 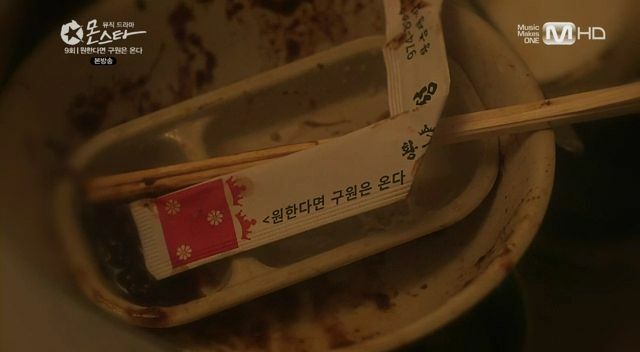 Flashback to Ji Woong’s suicide attempt with pills and booze, but he was saved by a set of restaurant chopsticks in a wrapper with an uplifting saying. Seol Chan is being driven to the studio and hears Manager Hong say that once the new drama OST song is released it’ll further bolster his rehabilitation and he can return to his full idol life sooner. He spots Se Yi sitting at the bus stop. Se Yi answers a call from Ji Woong’s number only to hear Kyu Dong’s voice telling her not to worry about him, but asking her to forget what happened and not look for him. Na Na sits down next to Se Yi and asks about Kyu Dong. She reveals that she has ten dates scheduled with Sun Woo, who drives past and sees them. Seol Chan is at the studio still smarting about Sun Woo’s approach to Se Yi. The rest of Man in Black arrive and Seol Chan uncharacteristically hugs them, candidly explaining that he was feeling lonely. The company President says he won’t be lonely anymore since the group is headed to Japan tomorrow, which upsets Seol Chan and he yells that he can’t miss school! Heh. 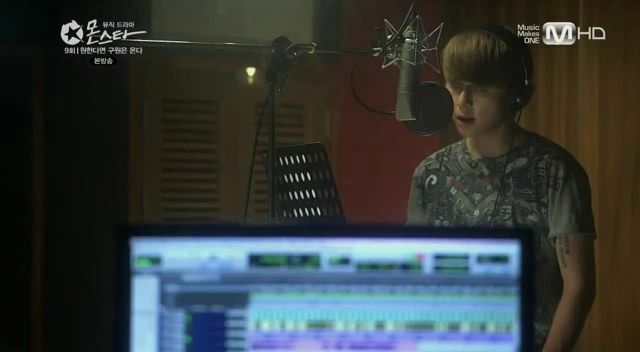 Seol Chan records the new song for the drama OST, and the music plays over scenes of Se Yi walking, Sun Woo in his car, Na Na alone, Do Nam carrying Kyu Dong’s retrieved backpack, Kyu Dong tidying up the basement studio, and Eun Ha alone in the classroom with her head lowered. 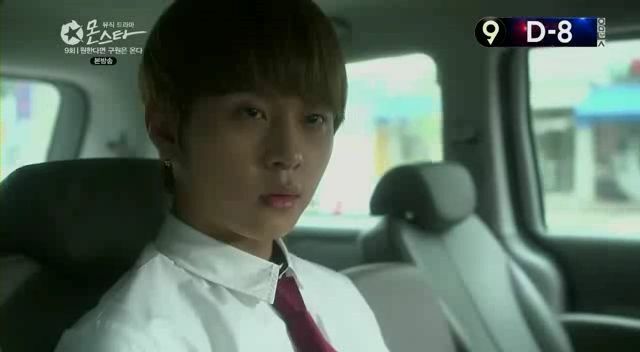 Seol Chan is being driven home and he can’t stop thinking about Sun Woo’s confidence that Se Yi will choose him. Se Yi sits in her room talking to her Seol Chan boyfriend sheep, asking the sheep what Seol Chan feels? Se Yi gets called out by Seol Chan and they meet in the dark alley. 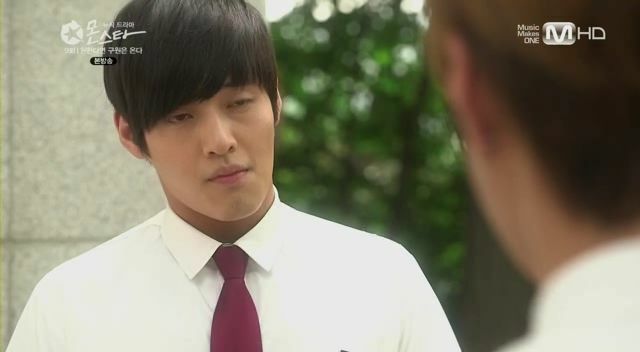 Seol Chan is his usual brusque self and brings up Sun Woo’s confession today. He congratulates her on getting a love confession but derides that it should have been done privately. Se Yi thinks he’s looking out for her as a partner should and coming to tell her all this in person. Seol Chan asks if she is going to reciprocate Sun Woo’s feelings. Se Yi says who wouldn’t? It’s Jung Sun Woo! Seol Chan says Sun Woo would make a good boyfriend and he should have encouraged him to confess earlier. This leads Se Yi to remember Seol Chan goading Sun Woo in the car and she realizes he knew how Sun Woo felt already. Seol Chan says he was pushing Sun Woo to go faster, and wasn’t Se Yi waiting for it since she so eagerly accepted in front of the reporter? 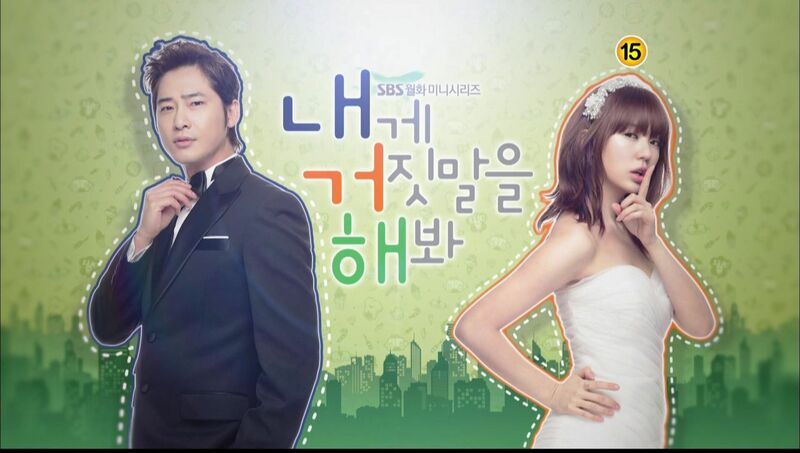 Seol Chan calls himself a fool for asking Se Yi to be his one-day girlfriend when she was waiting for Sun Woo. Seol Chan wishes her well and walks away. Se Yi goes home and starts crying, but she heads back out when she spots the sheep. She runs after Seol Chan and calls out his name. He turns around and she throws at the sheep at him. Since she has a boyfriend now, she’s returning the sheep to him. Se Yi runs home and huddles under her blanket sobbing, which her mom notices. The next day at school, Se Yi notices Seol Chan’s seat is empty. Sun Woo sees her looking at the empty chair. 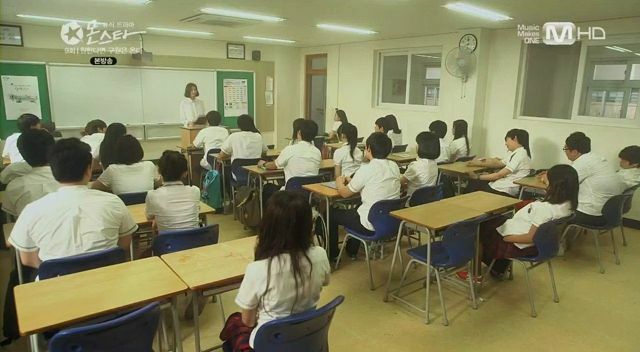 Teacher Dokko starts class and also notices Kyu Dong isn’t here either. Eun Ha sits next to Se Yi and reveals Seol Chan is off to Japan with his group. She asks about Kyu Dong and wants to know what’s going on. But Se Yi abruptly goes to talk with Do Nam. Teacher Dokko has contacted Kyu Dong’s grandmother who he lives with, and summons Sun Woo to the office and asks if he knows Kyu Dong’s whereabouts since they were in Color Bar together. He doesn’t. Se Yi tells Do Nam that Kyu Dong is at the basement studio and asks him what he’s going to do next. Sun Woo and Eun Ha both glimpse this conversation. Se Yi tells Sun Woo later that Kyu Dong’s safe at the basement studio and he’ll go home by the end of the day. Seol Chan and the rest of Man in Black finish their event in Japan. The rest of the group discusses what to do in their free time but Seol Chan asks Manager Hong to book him the next flight back to Seoul today. Eun Ha invites Se Yi to the noraebang, the poor girl is desperate for a friend to talk about her own loneliness. 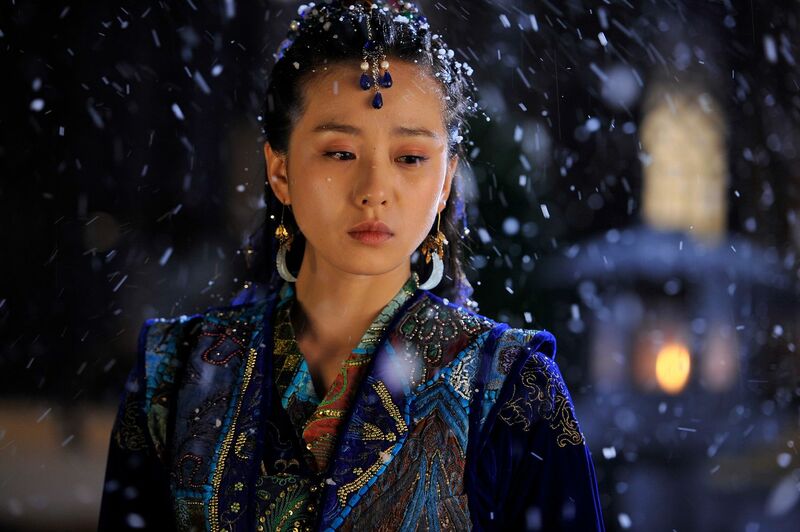 Se Yi apologizes that she can’t today. Sun Woo is getting ready to leave with Se Yi to go see Kyu Dong when Joon Hee arrives. Sun Woo congratulates All for One on doing a good job at the charity concert while Joon Hee welcomes him back to All for One anytime. He asks for an hour of practice with Sun Woo today and Se Yi tells him to go ahead, she’ll wait for him. Eun Ha spots Na Na and invites her to the noraebang but Na Na doesn’t answer in her usual silent way. She spots Sun Woo headed to rehearsal with All for One. Hyo Rin bugs Sun Woo for information about Seol Chan and when he’s back to school. She tells him that she’s picked Seol Chan over Sun Woo, which makes him laugh about why even she’s like this. All for One rehearses with Sun Woo and Na Na stands by the door and watches. Se Yi sits in the empty classroom and talks to the empty Seol Chan chair next to door. She doesn’t know why she’s feeling this way, both angry and sad, and she doesn’t know what Seol Chan really thinks about her. Sun Woo leaves rehearsal and sees Na Na outside. Se Yi walks up and invites her to join them to go see Kyu Dong. 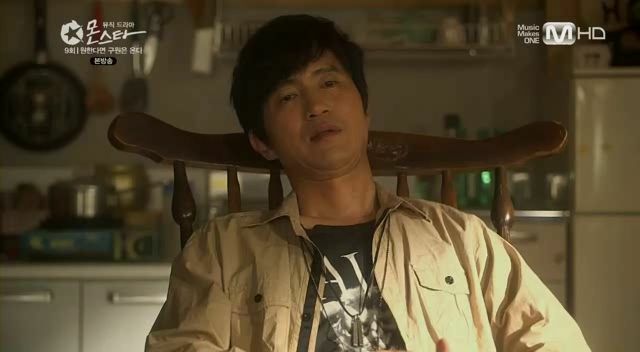 Ji Woong sees Kyu Dong cleaning the basement and has him watch the house. As he heads out, Eun Ha arrives and asks to stay because she also has nowhere else to go. Eun Ha is surprised to see Kyu Dong here and says she has a right to be here if he can. They sit down at the piano and Kyu Dong is sad he doesn’t know how to play and watching Seol Chan he wishes he did. Ji Woong goes into a store and passes by the street musician from Thailand. 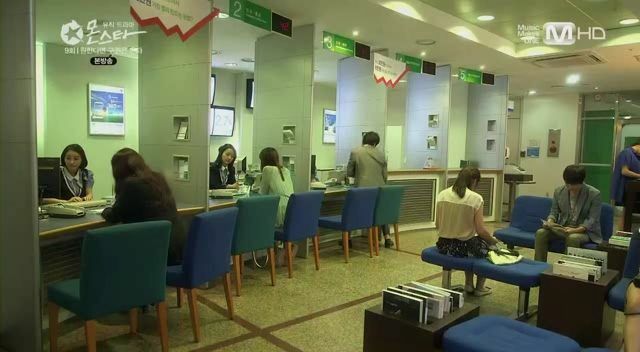 He is at the bank and we see Se Yi’s mom there as well. They spot each other again. Kyu Dong notices Eun Ha’s bruise on her leg and she claims it was from falling down. She also confesses to wishing she could play an instrument so she can alleviate her own sadness at times. 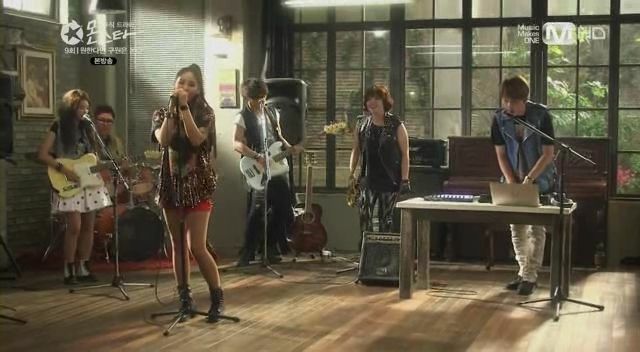 Kyu Dong asks what’s bothering her but Eun Ha gets up to re-arrange the room and create her own stage for a garage band. 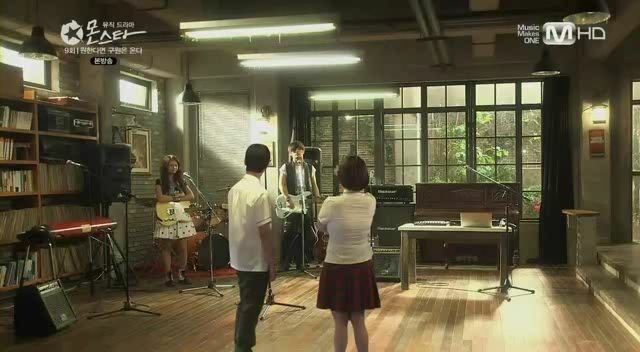 Eun Ha and Kyu Dong stand and stare at the set up and she explains how the band consisting of Color Bar members will look. Cut to a fantasy sequence with the group all dressed like baby punk rockers and rocking out to a song. 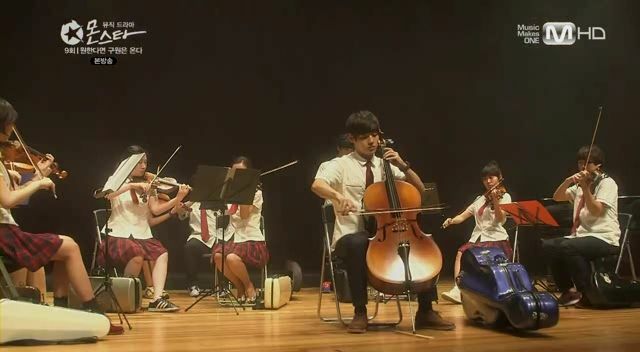 Kyu Dong and Eun Ha hear the music in their heads and jam to the song. They fall down laughing on the ground. There is a knock at the door and they open it to find Sun Woo, Se Yi, Na Na, and the street musician standing there. Se Yi’s mom sits down with Ji Woong at a coffee shop and is surprised he still lives in the same house in this neighborhood, despite being famous already. She asks him not to mention Se Yi’s dad and asks that they never meet again, and if they do to pretend they don’t know each other. Eun Ha wishes they all came together if they were headed here but Kyu Dong pipes up that they cam because of him. Eun Ha still doesn’t know about the suicide attempt. She’s introduced to the street musician from Thailand who was lost in the neighborhood looking for an address, which turns out to be Ji Woong’s address so Sun Woo brought him here. Se Yi goes to talk with Kyu Dong and apologizes for not keeping quiet, but Teacher Dokko was going to his house so they promised to bring him back to school. Kyu Dong isn’t upset and says he came here because the time spent practicing her was the best time of his life. He wonders where Seol Chan is, and wishes he could stay here forever. Ji Woong comes home and is surprised to see Se Yi, and even more shocked to hear a young man from Thailand is here to see him. He goes down to the basement and yells at all the kids to leave. 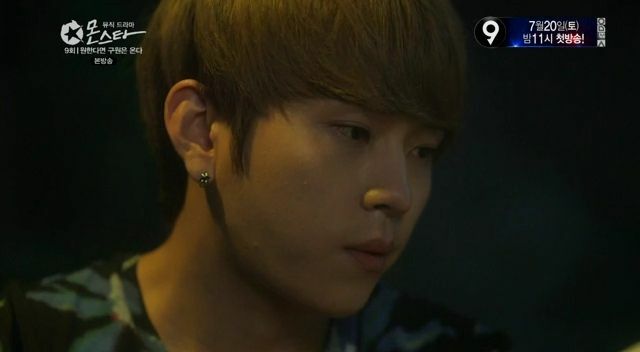 The kids all leave but Eun Ha notes that Ji Woong has become angry and withdrawn again. She wonders where Seol Chan is and we see Seol Chan behind a post observing them. Kyu Dong quietly thanks Na Na who acknowledges it tersely. Sun Woo and Se Yi head home together. The street musician shows Ji Woong a picture of a woman and asks if he knows her? Six years ago…….Ji Woong says he doesn’t know her and kicks him out. Ji Woong is freaking out when suddenly there is another knock on the door. He opens it and angrily repeats that he doesn’t know her! 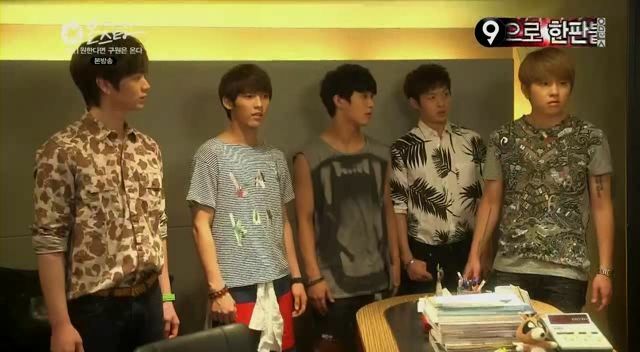 Only to see its Seol Chan standing there. Ji Woong says in exhaustion that he’s not in the mood to spar with Seol Chan, who replies back the same. He just has nowhere else to go. Seol Chan heads to the basement and sits down, thinking back to Sun Woo and Se Yi smiling at each other and walking down. He mutters that he came today for confirmation. Sun Woo walks Se Yi home and sees that she’s very withdrawn. He points out that she’s not nervous around him, despite his recent confession. She’s always so polar opposites in her feelings. He gets a call and initially says he can’t go, but then asks Se Yi if she wants to come with him. Ji Woong sits in his room and has flashbacks to the bloody car accident from six years ago and the injured girl next to him. 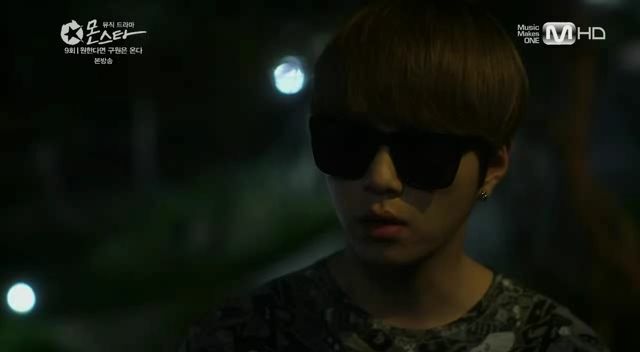 There is a knock on the door and this time its Do Nam looking for Kyu Dong. Ji Woong says that Kyu Dong isn’t here anymore. 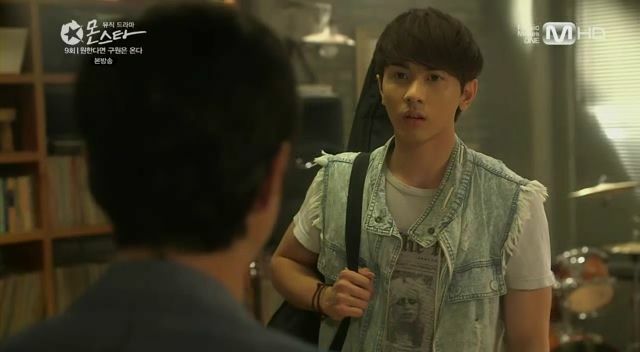 Sun Woo takes Se Yi to the hospital and reveals he comes here to play music as charity work. But he hadn’t been here in awhile because of practice with Color Bar. The little girl patient is jealous of Se Yi stealing her oppa but Se Yi effortlessly breaks the ice with all the kids. Sun Woo and Se Yi sit down and sing for all the sick kids. Do Nam stands outside Kyu Dong’s house and watches him take the trash out. He’s still holding Kyu Dong’s backpack. Sun Woo walks Se Yi home and is happy to see her mood brighten up. He could tell she seemed upset recently, and asks if she doesn’t see him as a guy since she’s always so relaxed around him? This leads Se Yi to flashback to her near kiss with Seol Chan when he asked her the same question. This leads to a full blown flashback of all her interactions with Seol Chan and Se Yi becomes overcome with emotion. She starts to tear up and finally kneels down and starts sobbing. Sun Woo worriedly asks what’s wrong and if its because of Seol Chan? Se Yi says no but she keeps crying and apologizing. Sun Woo tells her not to apologize, what’s important is figuring out her own feelings. He touches her on the head and we see Seol Chan watching all of this from the distance. Sun Woo deposits Se Yi near her house and then leaves. Se Yi walks up to the apartment and stops when Seol Chan calls her name. He asks why she’s crying, and if Sun Woo made her cry? Se Yi and Seol Chan sit on the stoop outside her apartment and it’s a very quiet moment between these two who usually fight like cat and dogs. He asks again why she cried, and if she’s falling back on her typical cry and don’t explain routine. If she’s going to be like that, then she shouldn’t cry in front of him. If he sees it then she needs to explain. Se Yi says it has nothing to concern him and he uses the fall back excuse that they are seat partners. That annoys Se Yi who doesn’t want to hear partners again. Seol Chan worries that she doesn’t want to be partners with him, but she says that’s not it, she just doesn’t want him to use partners to justify everything he does. Seol Chan gets very quiet and then asks if she knows how they became partners? Se Yi says he asked her and Seol Chan takes it a step further and asks if she knows why he did it? Why? They descend into silence as both stare forward. Seol Chan turns towards Se Yi and tenderly and softly calls her name “Se Yi-yah.” She turns towards him and asks what? Seol Chan leans in and uses both his hands to pull her face towards him for a kiss. Initially Se Yi is shocked and struggles but Seol Chan’s right arm moves down to pin her arm in place. 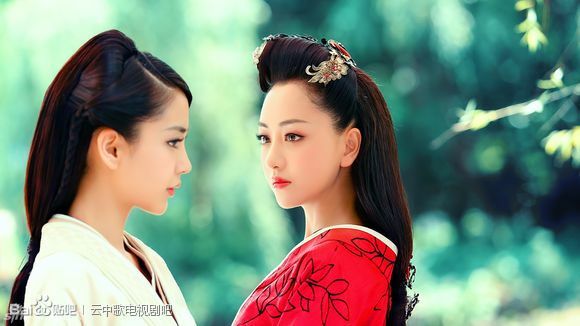 Se Yi’s wide-open eyes slowly close and they kiss as the cameras pull back. Yaaaaay!!! finally, a kiss from our OTP! Thx so much, Ms. Koala, for this recap! Loved this episode! Hope we get to hear Eunha sing next episode. Also looking forward to hearing the teachers sing, maybe the last episode? And sorry, just have to ask — wtf is Seolchan wearing in the last scene??? His halmoni’s shirt that she normally wears to church bingo on Friday nights. He should’ve took a pants too…or borrow from ahjumma. He did take her pants, too. Black clam diggers/palazzo pants hybrid. OMG!!! I´m melting in my seat, they´re so cute together, my heart beat so fast, can´t wait another week, don´t know how I´m going to last so long. Well, I´m going to rewatch the serie. Thank you Koala for the fast recap. omg kind of wishing i didn’t open up this recap so soon before actually finishing the episode because then i would have more of an OMG reaction had i not spoiled myself. Finally though, i am happy that we have a kiss. I know right! SeYi ahhhh….Chu~ kyahhhhhhhhhh!!!!!!!! Rushed through this episode and Seol Chan’s reduced screen time was definitely conspicuous. :/ Seyi’s breakdown due to her feels/confusion for Seol Chan was so heartfelt and I felt for Sun Woo to have witnessed it. SC’s “Seyi-yahhhh” had me squeeing… infact when he was side-eyeing her I was all, “ohhh, it may FINALLY happen!” As much as I’m glad that the kiss happened b/w our OTP those ‘holding the struggling female’ ones make me uncomfortable. Same! I rather it happened mutually. I actually prefered the scene at Sun Woo house, add in the tender Se Yi ahhhh and here we go! Woo! Sorry a little taken away. I really wish Se Yi would end up with Sun Woo and not Seol Chan. Unlike you guys too sad for Seon Woo even though I know it wouldn’t happen. And totally love the hospital kid. That was one cute jealous child. This was actually another episode where I was reminded of why I dislike SunWoo. Even if he volunteers at the cancer ward, he doesn’t care about his classmates at all. When Dokko asked him about Kyudong, he was kind of like: We don’t talk anymore, I don’t know, I don’t care. Until he saw that SeYi cares, and suddenly he’s interested. love this couple and can’t wait for next episode..
What I would’ve given to trade places with Ui-sik when he was on top of Dahee like that… If he’s a Friend of Dorothy as I suspect he is, then he probably has no ability to appreciate how hot that scene was… and how many of her fanboys he made jealous. That flashback scene… it looks like Seyi’s parent’s were in love from the very beginning… and Not-Adam had been the jealous third wheel all along. While the former two where exchanging “let’s reproduce” glances, Young Ajeossi was just looking at the two of them with the SAME green-eyed look that SC gives when Seyi’s around SW. He might be Not-Adam’s son, but I think his mother was probably that Se-Young who died in the car accident, given Not-Adam’s reaction.